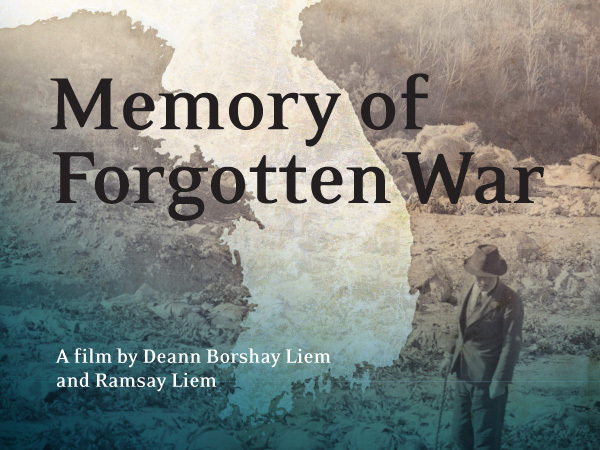 MEMORY OF FORGOTTEN WAR conveys the human costs of military conflict through deeply personal accounts of the Korean War (1950-53) by four Korean-American survivors. Their stories take audiences through the trajectory of the war, from extensive bombing campaigns, to day-to-day struggle for survival and separation from family members across the DMZ. Decades later, each person reunites with relatives in North Korea, conveying beyond words the meaning of family loss. These stories belie the notion that war ends when the guns are silenced and foreshadow the future of countless others displaced by ongoing military conflict today. The film's personal accounts are interwoven with thoughtful analysis and interpretation of events by historians Bruce Cumings and Ji-Yeon Yuh who situate these stories in a broader historical context. Additional visual materials, including newsreels, U.S. military footage, and archival photographs bring to life the political, social and historical forces that set in motion the tumultuous events of the War and its aftermath. Click HERE to watch an extended trailer.